AMResorts®, one of the companies of Apple Leisure Group (ALG), launched an exciting travel agent appreciation campaign, “Amazing May.” For the month of May, AMResorts is honoring its amazing travel agents with contests, special rates and prizes. Special Master Agent Rates – Master Agents can treat themselves to special rates for a limited time at participating Zoëtry® Wellness & Spa Resorts, and Secrets®, Breathless®, Dreams®, Now® and Sunscape® Resorts & Spas. Win a Free Stay Contest – Travel agents can submit a short story and photo of their proudest moment selling AMResorts for a chance to win a complimentary, three-night stay. 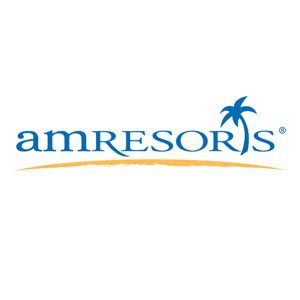 Get AM-Rewarded Sweepstakes – AMRewards travel agents with the most AMResorts bookings made and entered per day have a chance to win one of 27 tablets. Double the Points, Double the Unlimited-Fun® AMRewards Promotion – Double points are awarded when travel professionals enter bookings into AMRewards for select Sunscape Resorts & Spas. With the Amazing May campaign, travel agents can earn valuable rewards and strengthen their partnership over the long term with AMResorts. This is just another example of AMResorts offering exciting incentives and the best resources for travel professionals to grow their business. For more information and details on this campaign, visit our landing page. AMResorts, a subsidiary of Apple Leisure Group, is the fast-growing provider of sales, marketing and brand management services to six individually unique resort brands. The Newtown Square-based company is continuously raising the all-inclusive concept to a new level of luxury with its signature Endless Privileges®, Unlimited-Luxury® and Unlimited-Fun® programs. Located throughout Mexico, Jamaica, Curacao, Dominican Republic, Costa Rica, and Panama, AMResorts’ more than 52 award-winning properties treat every guest to premium accommodations, desirable locations and extraordinary inclusions. The brands in the collection include: boutique Zoëtry® Wellness & Spa Resorts www.zoetryresorts.com; – 1-888-4-ZOËTRY; adults-only Secrets® Resorts & Spas – www.secretsresorts.com – 1-866-GO SECRETS; high energy Breathless® Resorts & Spas – www.breathlessresorts.com – 1-855-65-BREATHE; family-friendly Dreams® Resorts & Spas – www.dreamsresorts.com; – 1-866-2-DREAMS; vibrant Now® Resorts & Spas – www.nowresorts.com – 1-877-NOW-9953; and fun-filled Sunscape® Resorts & Spas – www.sunscaperesorts.com – 1-866-SUNSCAPE. Images, logos and informational material about the AMResorts Collection of brands and properties are available at www.amresorts.com/media.